The leading independent specialist for windscreen replacement and windscreen repair based in Perth and serving all of the Perth area. 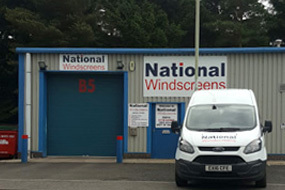 National Windscreens Perth fitting centre provides windscreen replacement and windscreen repair services to businesses and individuals throughout Perth and the Perth area. The city of Perth can be found in central Scotland situated on the banks of the River Tay. The population of the city is approximately 44,820, making it one of the largest cities in Scotland. Whichever way you decide to travel to Perth, whether it is on the A9 from the north, the M85 from the east or the M90 from the south, you are sure to travel through some of the most beautiful scenery in Scotland. Perth is also well known for its tourist attractions with a total of 79 listed on trip advisor. The Perth windscreen fitting centre and its mobile vehicle glass technicians service the needs of Perth and the surrounding area including Cupar, Dunfermline, Airdrie and Kirkcaldy. With 108 fitting centres and over 800 mobile technicians, National Windscreens operates the UK's largest windscreen repair and windscreen replacement network. The company provides low cost, high quality windscreen replacement and windscreen repair from its Perth fitting centre 24 hours a day, 7 days a week, 365 days a year. Repair and replacement of all types of vehicle glass including windscreens, rear windows and side windows is undertaken throughout Perth and all of the Perth area.